Coming up with a fitting name for your baby can feel daunting as all get-out. Sure, you want it to be aesthetically pleasing. But more than anything, you want it to have real weight and purpose — maybe even a name that reflects your kid’s character. That’s why the meaningful names below are so perfect and can help you whittle down your name list (don’t pretend it’s not a mile long). Because these names don’t only look and sound cool; they also have meaningful definitions, root words or histories that will help you choose which ones go from your maybe column straight to the yes list. Now that more and more parents are picking names based on their meanings, they don’t get popular because of sound and spelling alone. Here are some of the most popular boy names of last year — and the meanings that got them there. If you’re hoping for a little one who grows up to radiate kindness and generosity, one of these baby names could be just the inspiration he needs. There are so many important character components we parents home our kids will have. Just a few of these are loyalty, honesty and justice. Here’s hoping all our kids grow up to stand up for what’s right. Is there anything better to wish for your little bub than a lifetime of peace and prosperity? Give him a head start with one of these beautiful baby names. This much is for sure: No matter who your kid turns out to be or what his personality is like, you will love him to pieces. These sweet names are perfect for a beloved little boy. Choosing a name for your as-yet-unborn child to tote around with him his entire life can feel like a pretty major undertaking. 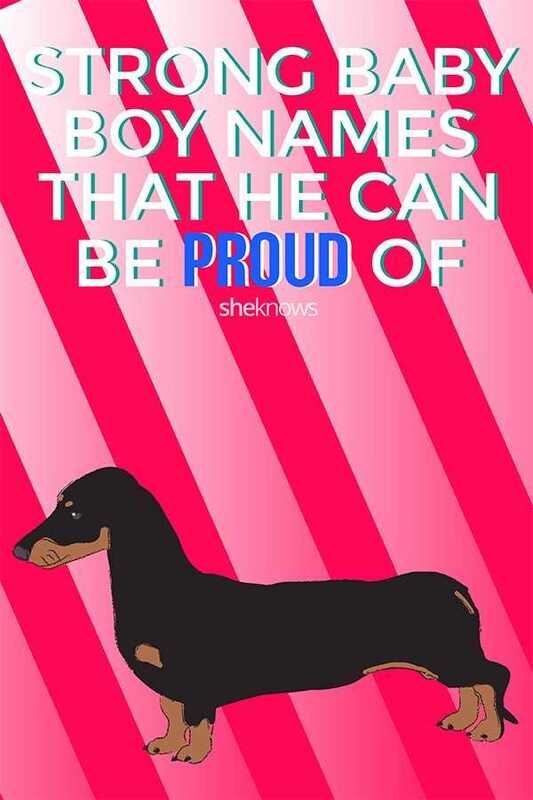 But no pressure: These meaningful names will ensure he knows you had your highest hopes for him when you chose it.